You never know what you might stumble upon when visiting the Surfing Heritage Foundation. Earlier this year I stopped by to ask Steve Wilkings (SHF Photo Archivist) about some of the photographs he was scanning and cataloging. Steve pulled out a very unique collection of photos that had just been donated and began telling me how amazing this collection really was. 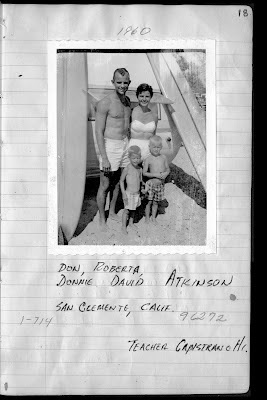 It was a scrapbook of sorts with Polaroid snapshots of families and individuals that frequented San Onofre during the early to mid-sixties. Below each photo he would write names, address, phone number and occupation. He had just finished scanning each of the photos and documenting and cataloging information about each and every photo. I asked him if he could show me an example and he randomly pulled one up on his Mac to show me. Steve could not have helped notice the surprise in my eyes. The photo was of the Atkinson family of San Clemente. They were one of the first families we got to know when our family moved here in 1962. 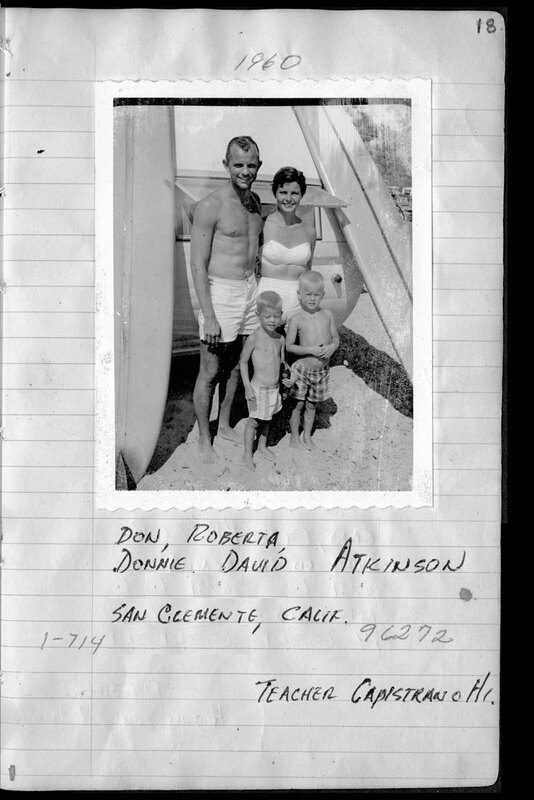 My brother and I were very fortunate to join the Atkinson family and other San Onofre Surf Club members on trips to San Onofre during the 60’s. It’s funny how one story invariably links together with multitudes of other equally unique and poignant. 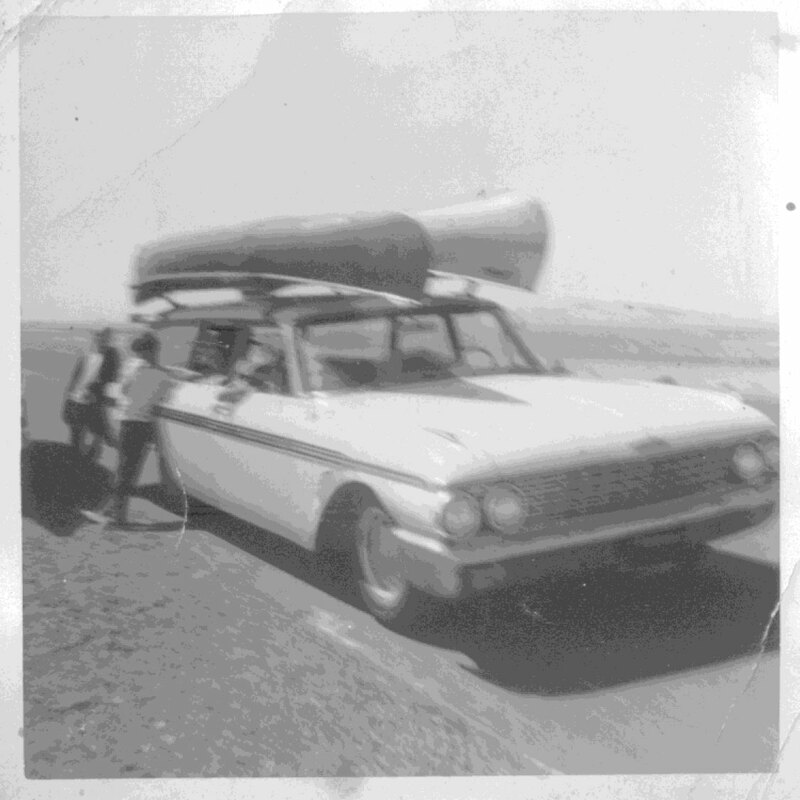 The Atkinson family also invited my brother Malcolm and me on an annual pilgrimage to the Colorado River. 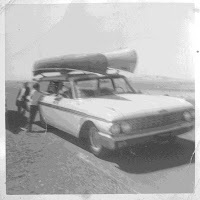 Over the years we managed to navigate our canoes down the Colorado from Black Water Canyon to Yuma Arizona.